This is the second Offroad style concept based on the new TT. 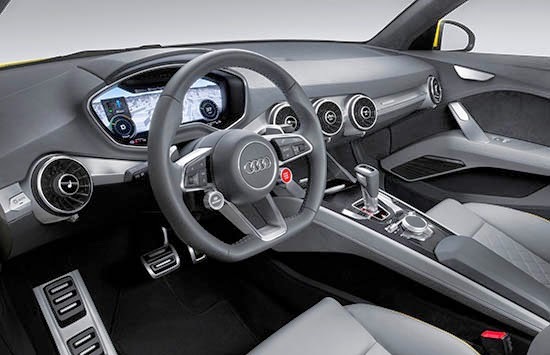 It looks like Audi is trying to tell us something. 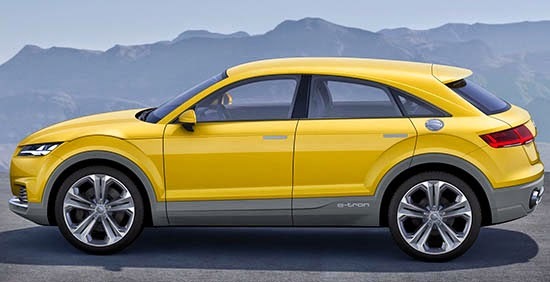 Like, they really want to jack up the new TT and turn it into an SUV. Out of all the cars they have, they choose their one sports car to do this. 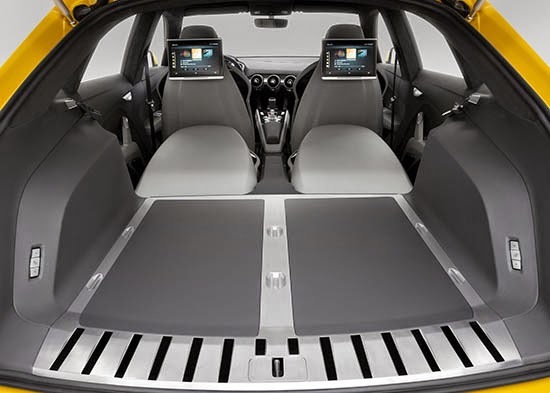 Like if Mazda wanted to jack up the Miata and add 2 more doors to it. 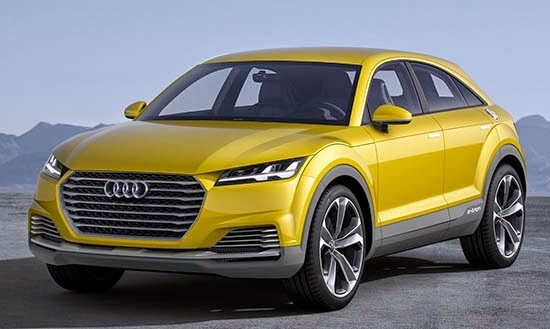 Wonder if this will eventually become the Q4.. but if Audi doesn't plan to make "coupe crossovers" in multiple sizes, maybe QT would be a better name if they want to link it to the TT. The TT is on the same platform as the Golf and A3/Q3, so it doesn't matter what they claim. 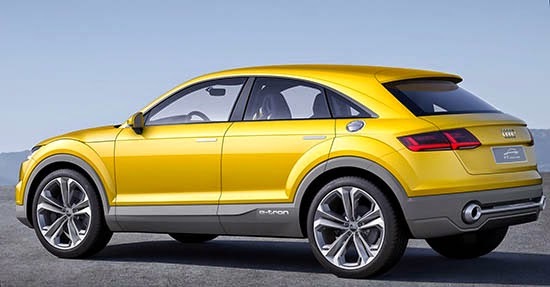 It's an up-sell from the Q3, like what the A5 is to the A4. Same s**t, different wrapper. Audi, BMW and Merc are in the business of getting the maximum lease payment that their customers' credit ratings allow. That's why they have 50 versions of the same car. Yuck. Initial impression is that they've lost the plot. They're not being inventive anymore. If it wasn't yellow, I'd walk right by. Kinda feels like a Dodge Caliber. Area over the rear wheel is way too crowded with elements, intersections, seams n' stuff.